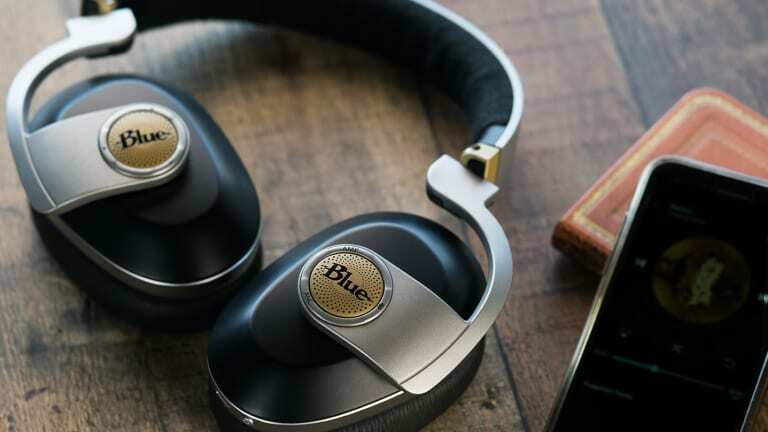 I&apos;ve been a big fan of Blue&apos;s headphone offering since they started with the Mo-Fi back in 2015. The unique design, the built in amps (Mo-Fi / Sadie), the crisp and balanced sound and incredible noise isolation -- all big features that keep me coming back for repeated use. 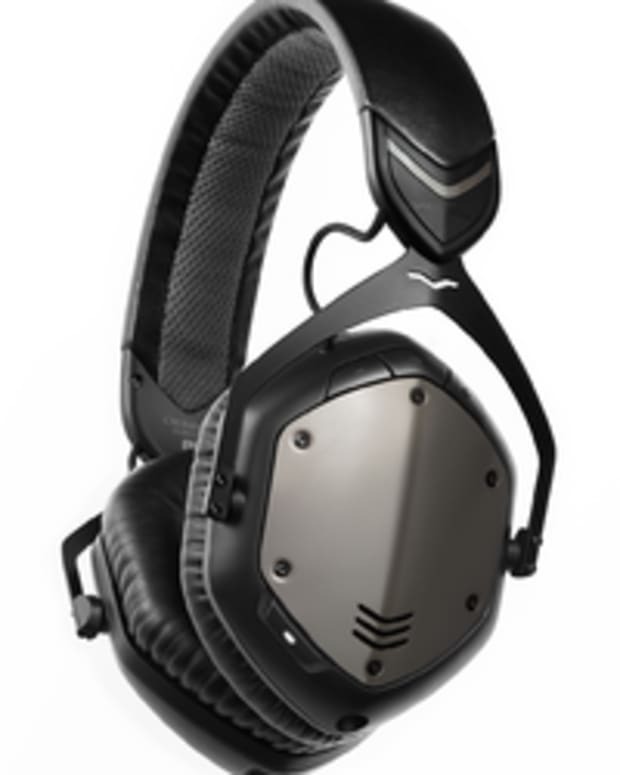 Finally, we have an essential addition to the lineup in the Satellite, a wireless model that not only offers the onboard amp but also comes with noise canceling. I&apos;ve been road testing these for a couple of weeks now, so here are my thoughts. The Satellite is a lighter and slightly less bulky version of its cousin the Sadie with a more traditional build as well. The Satellites retain a similar ear cup design but have lost the crazy articulating hinges of the wired models, which makes sense as it&apos;s designed as a portable headphone, in theory at least. That being said the Satellites do fold flat and come with a nice molded hard case, but they are far from small, so if you are looking for headphones with a slim profile you should stop reading right now. These guys require a decent amount of space in your bag, but if you are a music nerd like me, you will make room or find a way to transport these guys by whatever means necessary. The build quality is extremely solid, and they don&apos;t weigh too much considering they come from such beefy DNA. The ear cups are well padded and fit just perfectly over my ears, although those of you with larger flaps might be a bit compromised as the cups are a bit narrow. The headband is also nicely padded and helps with longer sessions once you get it positioned correctly but does clamp a bit hard, which is supposed to mellow with time. The only thing that might cause a bit of fatigue is the weight and overall bulk of the headphones. I couldn&apos;t go quite as long with the Satellite as I could with other lighter wireless models, but then again those models don&apos;t have a built in amp, which is a worth while off in my opinion. Considering there is an amp, noise canceling circuitry, audio drivers, Bluetooth and a battery it&apos;s amazing they achieved such a slim design. Inside The Box: You get a nice molded protective carrying case and lighter bag, a micro USB charging cable plus a rather long 3 meter, 3.5mm audio cable for wired passive listening if your battery croaks. 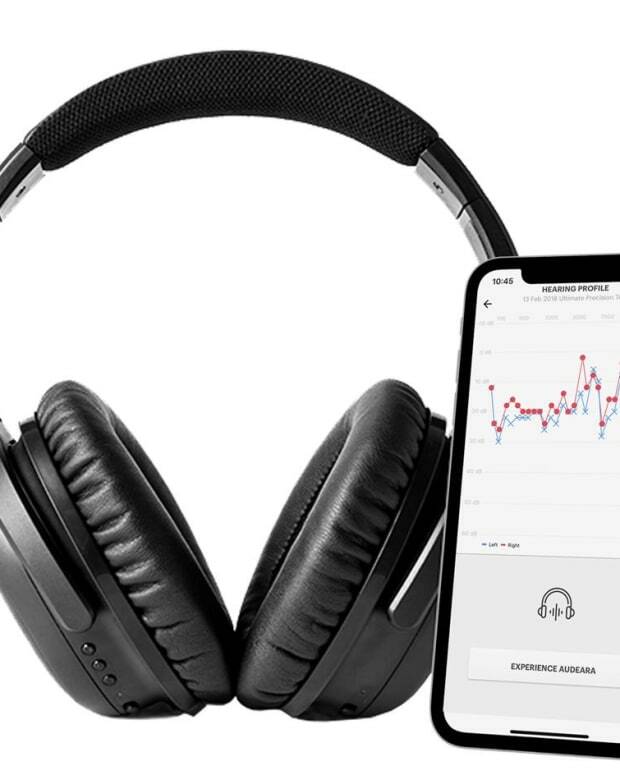 Blue claims 24 hours of total wireless battery life if you have noise canceling and the amp turned off and eight hours with these features engaged. I got pretty close to seven full hours but did not make it to eight, which is fine considering the unit was running an amp and ANC. Turning these features on is pretty straight forward, one ear cup handles the volume and the forward/backward/call functions (right) and (left) has buttons for the amp and ANC control. There is no audio alert or super easy way to tell that the amp or ANC is engaged other than by listening or taking them off to look for visual alerts, it should be a little easier to tell if they are on, but not a huge deal. If you press the button and wait for the light behind the Blue logo to blink fives times, you can visually confirm the function is not engaged, lighting up for five seconds to indicate it&apos;s on. 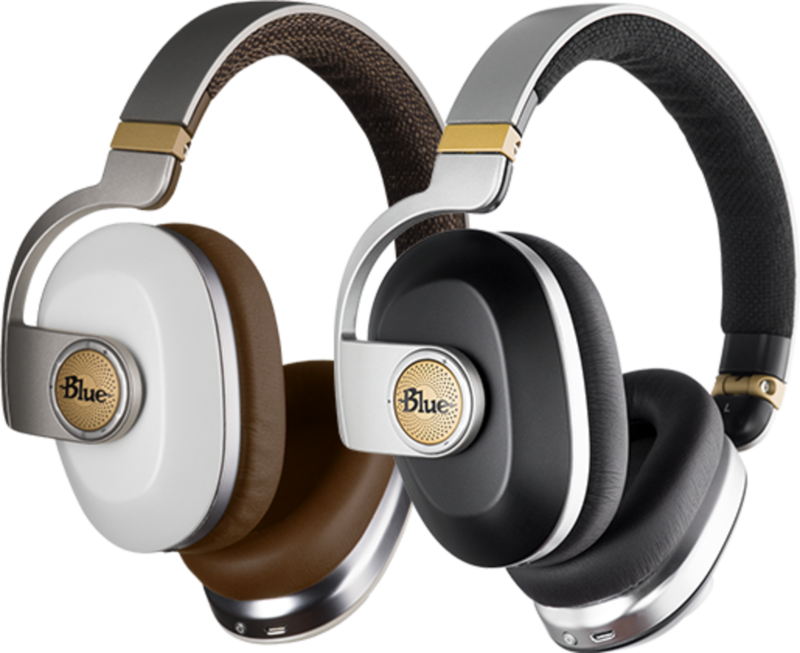 Blue&apos;s Satellite headphones deliver big on sound for a wireless unit and the natural ear cup isolation paired with the ANC manage to destroy most background noise. The sound is clear, balanced and crisp across the board. I tested the units with both an iPhone 7+ streaming Spotify and using mp3 files as well as an Astell&Kern HD AkJr audio player which sounded absolutely incredible. I ran them through the usual genres from electronic to punk rock, and they handled every song with ease with no flabbiness anywhere. 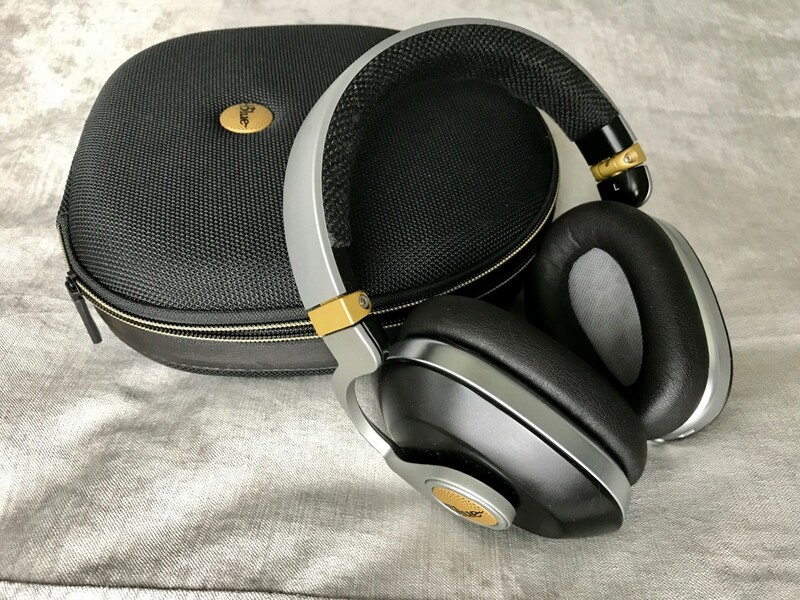 The Satellite is one of the more impressive wireless headphones I&apos;ve tested this year. If you are looking for big sound on the go, the Satellite is worth a listen and some serious consideration if you can get past a couple of things. 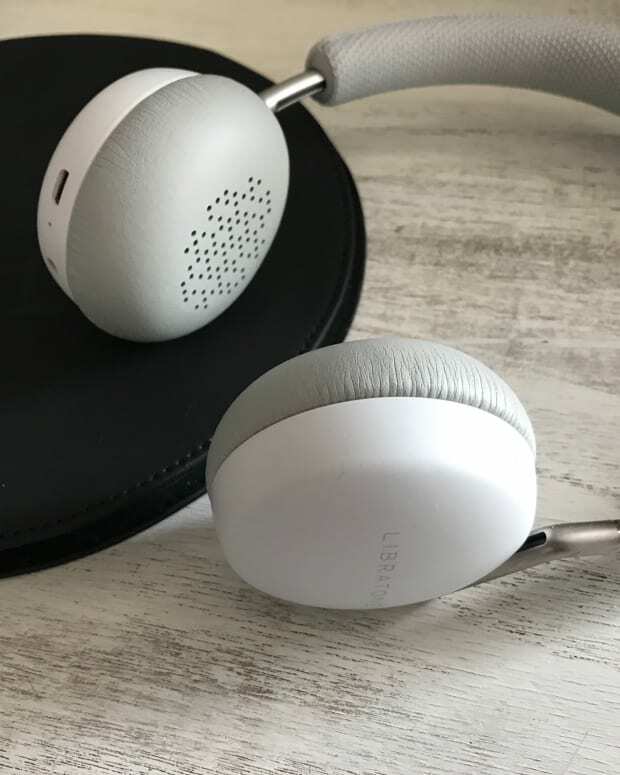 The sound is excellent, and the noise isolation from the cups plus the active noise canceling makes it ideal for noisy environments like open offices, airports, etc. The units are a bit bulky, and some might just find them too big to lug around every day, but if you are obsessed with sound, it&apos;s worth hauling the extra weight. These are headphones that require a bit of commitment, you need to break in the headband to work out the clamping force, the battery will need to be charged more often, and they are beefy. So if you are someone who demands high-quality audio on the go, the Satellites are probably one of the best offerings on the market despite a couple inconveniences. A big perk for audiophile types is that they allow you to stream AptX which is the highest quality wireless signal you can get. I used the Astell&Kern to use this latest Bluetooth tech, and it was stunning. I would almost recommend buying a player like the AkJr to round out the total package; it makes a HUGE difference.